Are you familiar with the tragedy of these siblings, actress and actor Choi Jin-sil and Choi Jin-young? After the death of actress Choi Jin-sil, the nation got shocked by the death of her brother, Choi Jin-young, that followed after. But what really happened to Choi Jin-young? Are you curious about him and the cause of his death? First, let’s take a look at his profile! Choi Jin-young is a South Korean singer and actor who was born on November 17th, 1970, in Seoul. 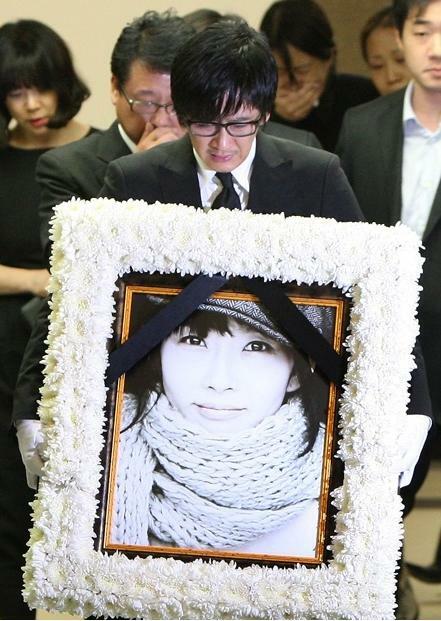 He was also known as the brother of actress Choi Jin-sil, who was known as the Nation’s Sweetheart as she was an actress loved by many people. Choi Jin-young first made his debut in television as a television commercial model in 1987. He started his acting career three years later appearing in the KBS2 drama 92 Gorae Sanyang. His name started to rise in 1993 with the popular television show Our Paradise. In addition, his resemblance to his older sister gave him a head start in his career. Meanwhile, his young image also helped him gain recognition in various television dramas, commercials, and movies. There was a time when his acting career floundered in 1999, but after he finished his mandatory military service he made a comeback as a singer under the name SKY. His first album Final Fantasy was a success with its single “Forever” placed on top of the charts. Choi Jin-young released his third and last album in 2004. Three years later, he returned to the acting world as a supporting role in the series It’s OK Because I Love You, but didn’t catch much attention from the viewers. If you want to listen to his music, here is a complete list of his discography! If you want to watch his performance, here is a complete list of his filmography! For his work, he had received various awards. Here is a list of the awards that he had received! 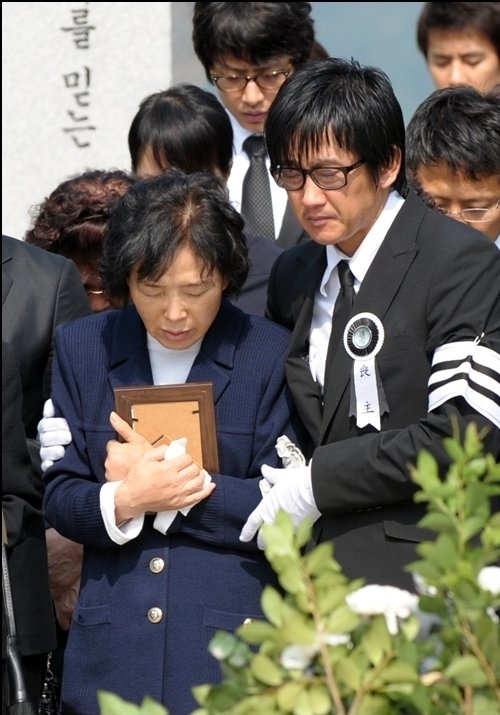 On October 22nd, 2008, Choi Jin-sil was found dead by suicide. 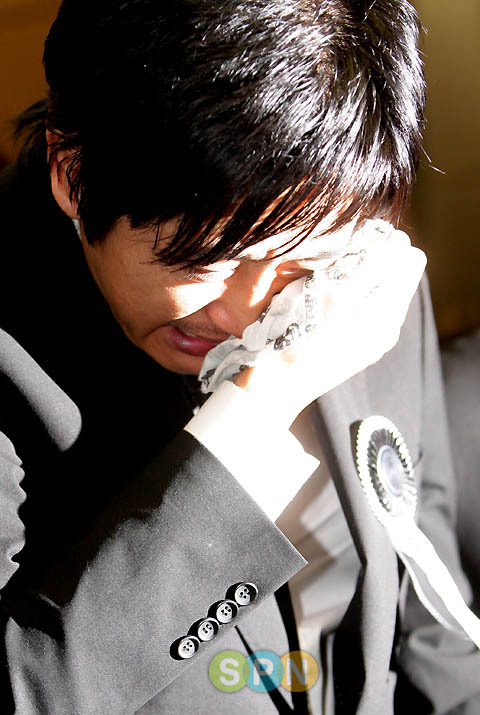 Photos of Choi Jin-young, who led his sister’s funeral procession as he clutched his sister’s picture in tears, spread around the internet, making the fans and the nation sob together with him. Upon his late sister’s wish for him to finish college, he enrolled at Hanyang University to study acting, in 2009. The same year, he played Demetrius in a staging of Shakespeare’s A Midsummer Night’s Dream. 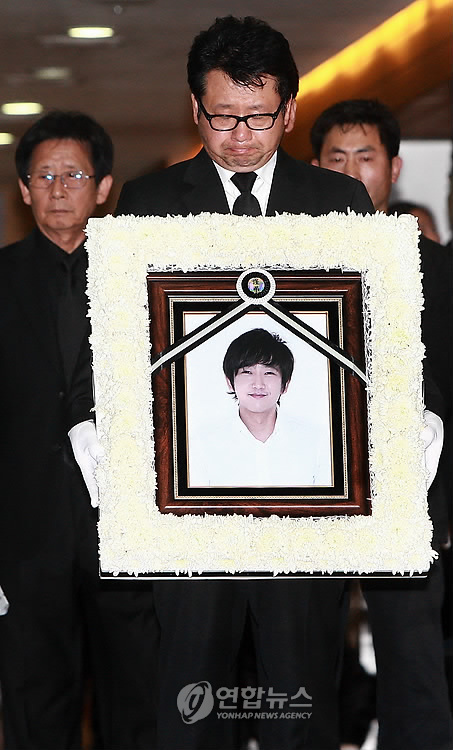 Here is a photo of him at Choi Jin-sil’s funeral. 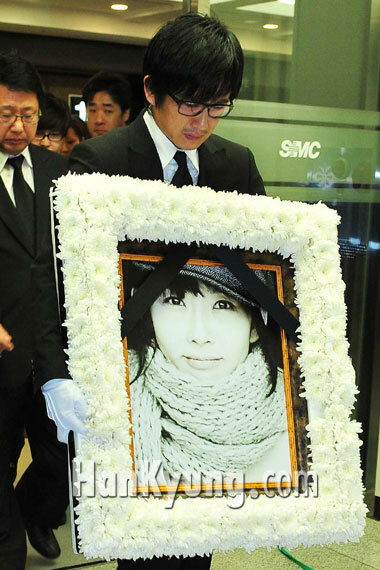 After his sister’s death in 2008, Choi Jin-young suffered due to depression and canceled his engagements for more than a year. Even after enrolling in theater and cinema studies at Hanyang University, he only attended the first day of classes at the semester of 2010. Later, his close friends and aides revealed that Choi Jin-young had attempted to commit suicide several times after his sister’s death and had his stomach pumped due to a drug overdose. It was also revealed that he refused his mother’s pleas to see a doctor and relied on nonprescription tranquilizers he bought from the pharmacy instead. In 2010, Choi Jin-young signed with a new agency and announced plans to resume his activities. But, his approaching comeback added to his stress level and he felt frustrated that he wasn’t getting cast in any television series. Because of this, he felt hopeless and thought that nothing was working as planned. 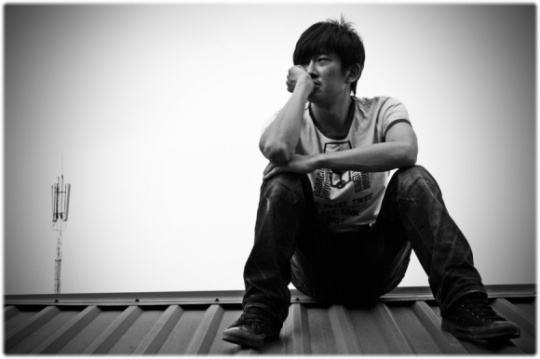 On March 29th, 2010, Choi Jin-young hanged himself with an electrical cord in the attic of his apartment. 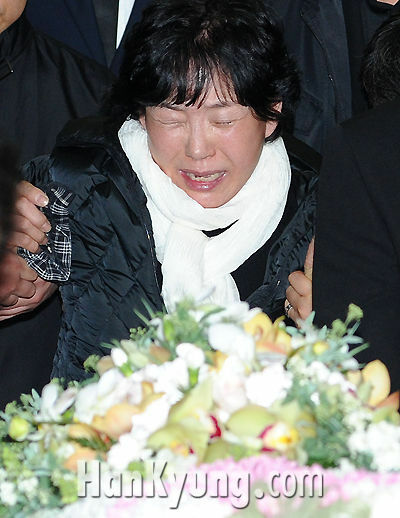 His body was found by his mother and a woman identified as Jeong, a junior of Choi Jin-young in college. The two women previously talked on the telephone as Jeong called Choi Jin-young before but he didn’t want to talk to her. After Jeong reported what had happened to his mother, they met at a coffee shop near Choi Jin-young’s apartment and went to check on him. Upon their arrival, Choi Jin-young was found hanging and they immediately called the police and a 119 rescue squad. He was rushed to Gangnam Severance Hospital for CPR, but was pronounced dead on arrival. The official cause of his death was asphyxia due to pressure on the neck. 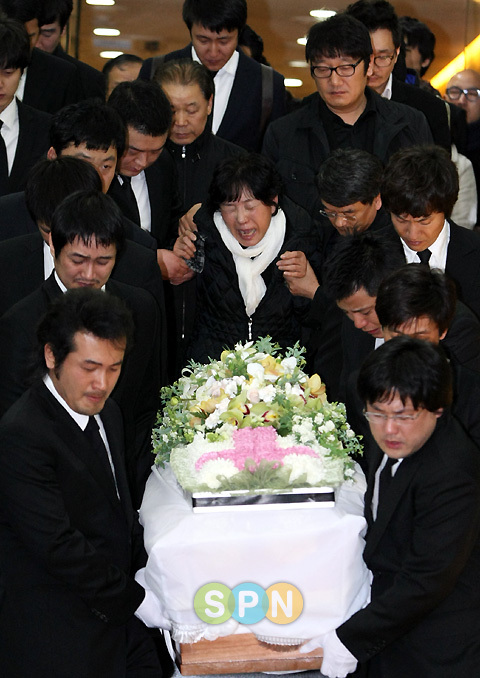 The funeral procession of Choi Jin-young was held on March 31st, 2010. 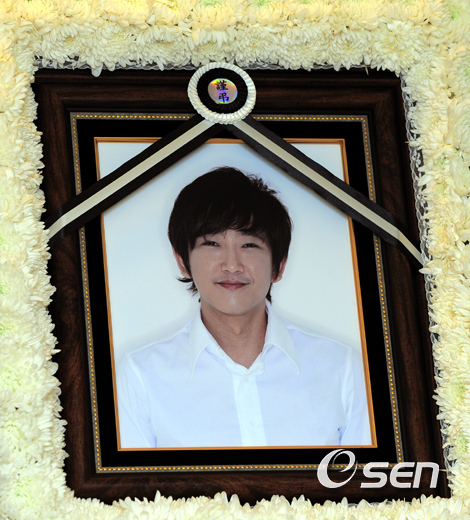 His body was cremated and buried next to his sister’s at Gapsan Park cemetery in Yangpyeong, Gyeonggi. Here are a few photos of his funeral procession. What do you think about the tragic story of Choi Jin-young? Don’t forget to share your thoughts in the comment section below!